Directed by David Lowery. With Casey Affleck, Rooney Mara, McColm Cephas Jr., Kenneisha Thompson. 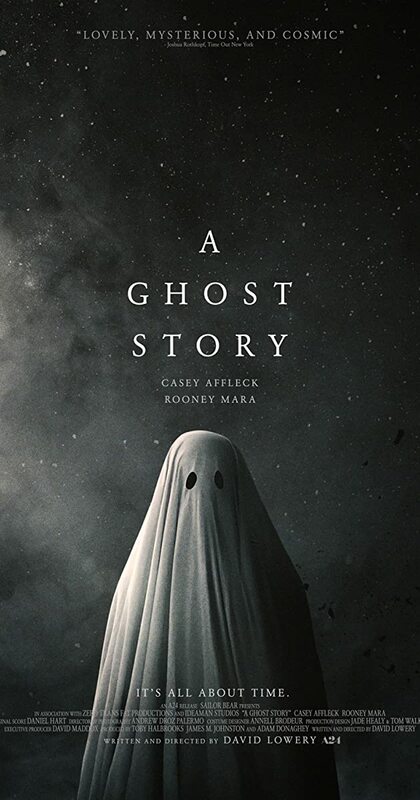 In this singular exploration of legacy, love, loss, and the enormity of existence, a recently deceased, white-sheeted ghost returns to his suburban home to try to reconnect with his bereft wife.